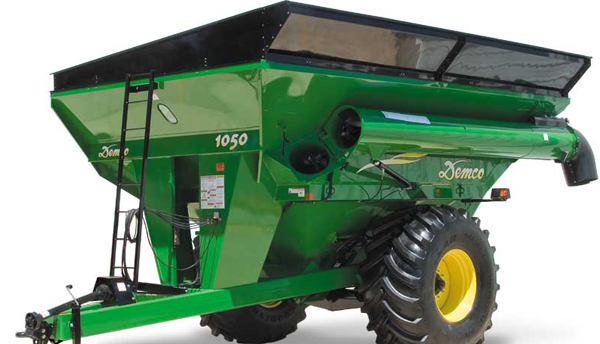 Dependable Farm Equipment As the largest DewEze™ dealer in Texas, we offer a wide variety of hydraulic hay beds, as well as the less expensive spike beds. Whether you're looking for spray equipment, lawn mowers, or grain drills, we've got you covered. 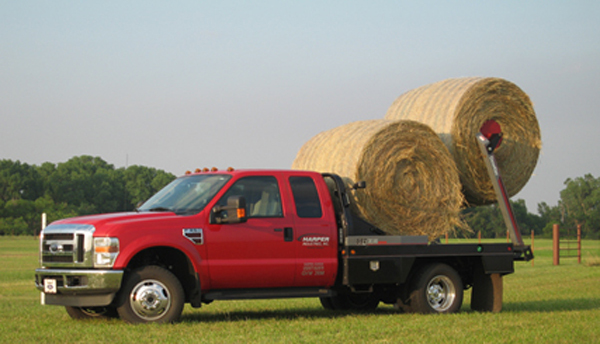 While we don't carry tractors or combines, we do provide all of the accessories you could need. Stop by today to see what we have in store. Receive a Quote For Your Farm Equipment Needs For all your farming needs make Farmer's Equipment your number one source for Hydraulic Hay Beds - Lawn Mowers - Batwing Mowers - Grain Drills - and more! Rely on the friendly professionals at Farmers Equipment Inc. for top-quality lawn mowers and hydraulic hay beds. 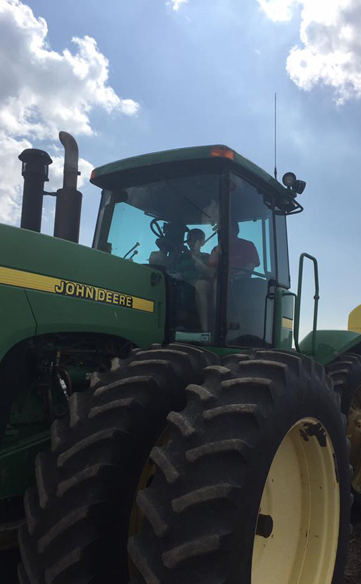 Since 1980, we have offered the best in farm equipment from our convenient location just 16 1/2 miles south of Pampa and 50 miles east of Amarillo. We have used most of the equipment ourselves, as we are engaged in farming. You can count on our small company to take care of everything. For all your farming needs make Farmer's Equipment your number one source for Hydraulic Hay Beds - Lawn Mowers - Batwing Mowers - Grain Drills - and more! 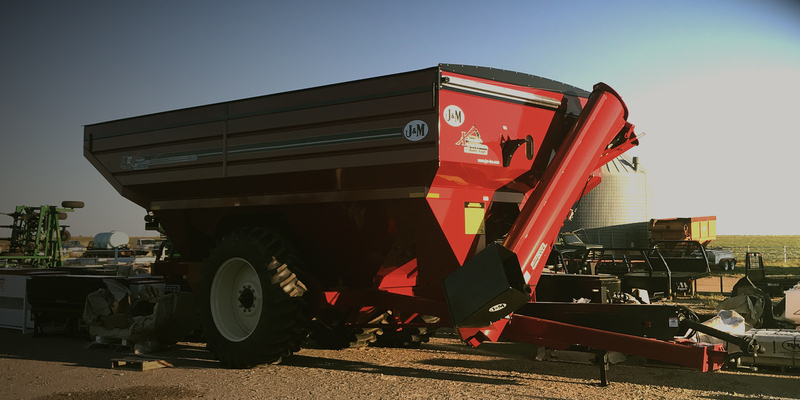 Since 1980, we have offered the best in farm equipment from our convenient location just 16.5 miles south of Pampa and 50 miles east of Amarillo. 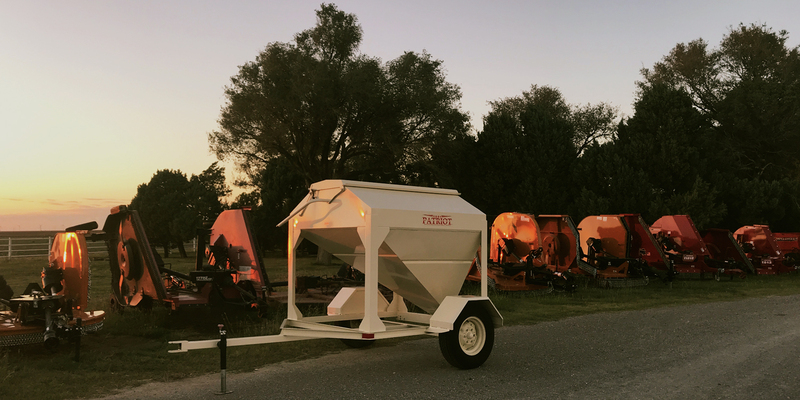 Browse an exceptional selection of top-quality farm equipment at Farmer's Equipment, Inc. We offer farm equipment from over 27 top farm equipment vendors! DewEze bale beds have proven their durability and trouble free performance in livestock operations across the United States. Unmatched Harvesting Efficiency. Newly Designed Slope improves unloading and grain flow for a complete grain tank cleanout. 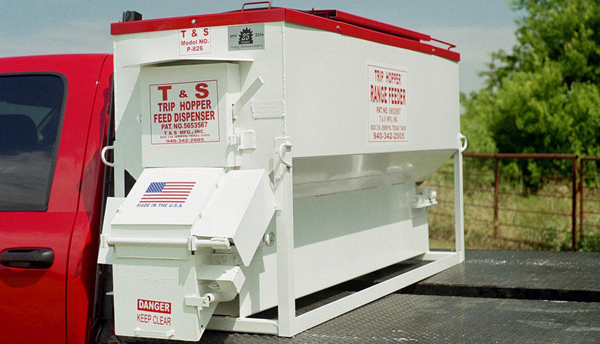 T&S Trip Hopper Feed Dispenser. Take the labor out of your feeding! Save time & money! 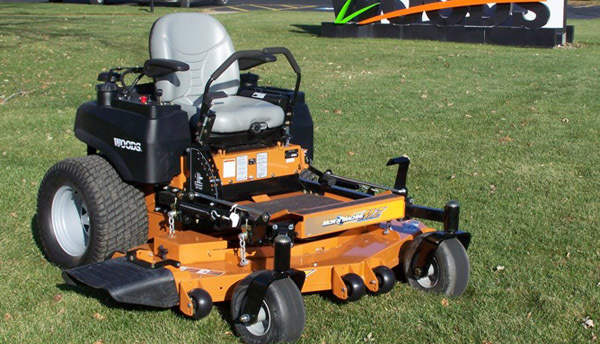 Our zero-turn mowers are built to full commercial standards and feature Woods’ legendary quality, making them as tough as they come.